Kun shoulder rests are well-known and popular around the world, so they’re not hard to find on concert stages and in videos. Here are just a few of the artists you might know who use our rests. 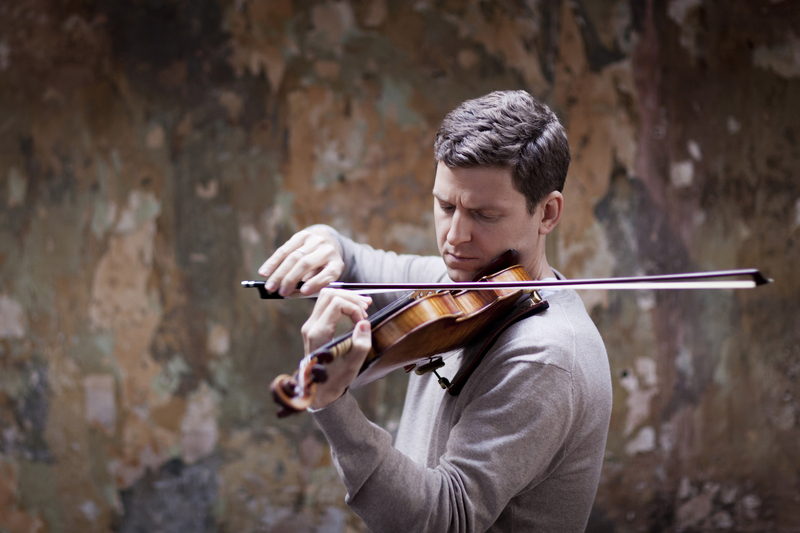 Known for his virtuosity and probing musicianship, violinist James Ehnes has performed in over 35 countries, appearing regularly in the world’s great concert halls and with many of the most celebrated orchestras and conductors. He is also the first violinist of the Ehnes Quartet and the Artistic Director of the Seattle Chamber Music Society. His extensive discography of over 40 recordings has been honoured with many international awards and prizes, including a Grammy, a Gramophone and 11 Juno awards. James has won numerous awards and prizes, including the first-ever Ivan Galamian Memorial Award, the Canada Council for the Arts’ Virginia Parker Prize, and a 2005 Avery Fisher Career Grant. He is a Member of the Order of Canada, and an Honorary Member of the Royal Academy of Music. In 2017, James was named Instrumentalist of the Year by Royal Philharmonic Society. James plays the ‘Marsick’ Stradivarius of 1715. He uses the Kun Bravo. Tixier, born in Montreuil, France, studied classical violin at the conservatory in Paris and studied improvisation as a self-educated jazz musician. Since he moved to New York for over decade ago, he has performed and recorded with a wide range of artists, including Stevie Wonder, Kenny Barron, John Legend, Ed Sheeran, Charnett Moffett, Ariana Grande, Wayne Brady, Gerald Cleaver, Tigran Hamasyan and many more. In addition to performing in and around the jazz world, Tixier appears in the house band on many American TV shows, including The Tonight Show with Jimmy Fallon, The Late Show with Stephen Colbert, Late Night with Seth Meyers, and America’s Got Talent. Scott Tixier uses the Kun Bravo. 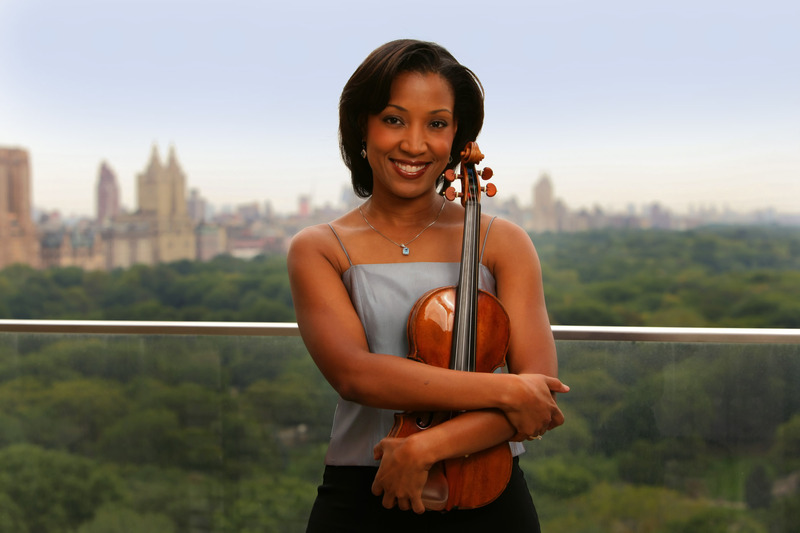 Ms. Hall-Tompkins has appeared as soloist with the Symphonies of Dallas, Jacksonville, and Oakland, and performed recitals in Paris, New York, Toronto, Washington, and Chicago. She has also appeared at Tanglewood, Ravinia, and Lincoln Center, and was “Fiddler”/Violin Soloist of the Grammy and Tony-nominated Broadway production of Fiddler on the Roof. As founder of Music Kitchen-Food for the Soul, Kelly Hall-Tompkins is a pioneer of social justice in classical music, bringing top artists to over 100 concerts in homeless shelters. 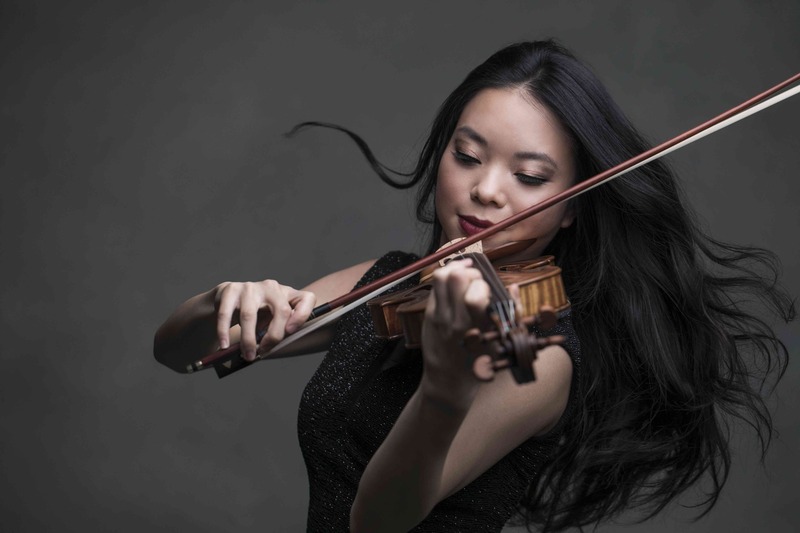 Sirena Huang is one of today’s most celebrated violinists. She brings technical brilliance and powerful artistry to the stage, alongside a profound sense of connection to her audience. Sirena has been the recipient of numerous prizes and awards. In 2017, she was awarded First Prize at the inaugural Elmar Oliveira International Violin Competition and was a New York Concert Artist winner. 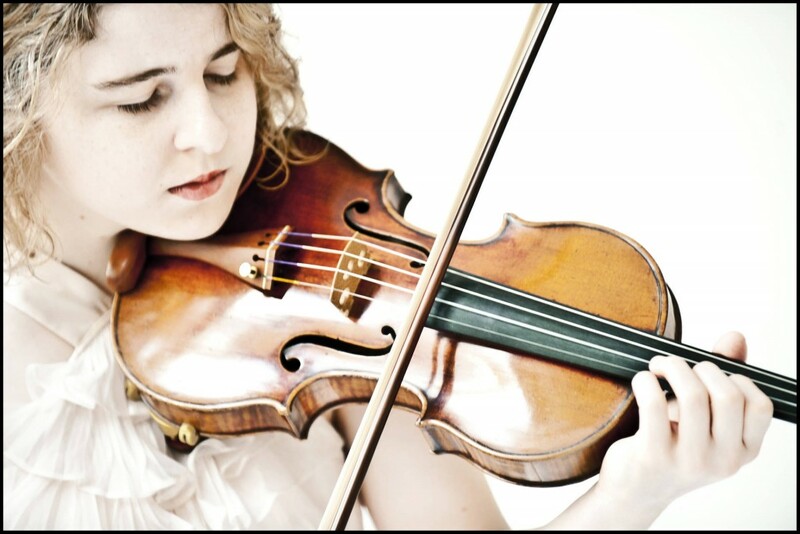 Additionally, she was a First Prize Gold Medallist of the 6th International Tchaikovsky Competition for Young Musicians (2009) and won both First Prize and the Audience Award at the Cooper International Competition (2011), as well as the Verbier Festival’s Hannloser Prize for Violin in 2013. Sirena made her orchestral debut with the National Taiwan Symphony Orchestra in 2004 at the age of nine, and has performed in 17 countries across three continents. She has been featured as a soloist with more than 50 ensembles including the Symphony Orchestras of Cleveland, Baltimore, Shanghai, and Singapore as well as the New York Philharmonic and Staatskapelle Weimar in Germany. Sirena has appeared as a guest artist at many music festivals including Ravinia, Newport, Marlboro and Aspen. Motivated by a deep wish to inspire peace and harmony with her music, Sirena has performed before world leaders, thinkers and humanitarians, including President Obama and Elie Wiesel. At age eleven, she gave a TED talk that garnered more than 2.5 million views. In 2006, she was honoured to play for His Majesty King Abdullah II of Jordan and 30 Nobel Prize laureates at the World Peace Conference in Petra. And in 2007, under the invitation of former Czech Republic President Havel, Sirena played in the Opening Ceremony of the ‘Forum 2000 World Conference’ in Prague. Sirena uses the Kun Bravo shoulder rest with Voce feet. 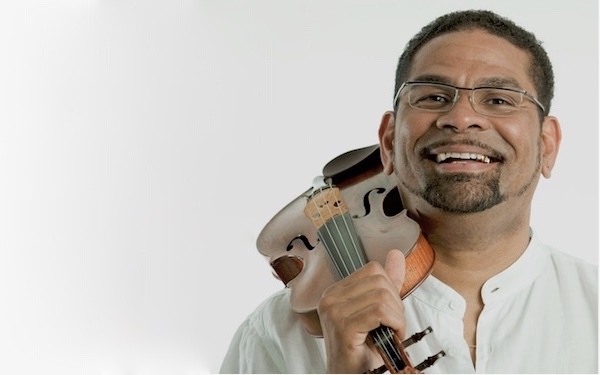 Internationally renowned for his masterful performances in a variety of musical styles, world class violinist Omar Puente is nothing short of a true virtuoso. After establishing himself as an accomplished musician on his native Cuban soil, Omar moved to England in 1997 where he has since played in Europe, the Middle and Far East, the USA and Africa. 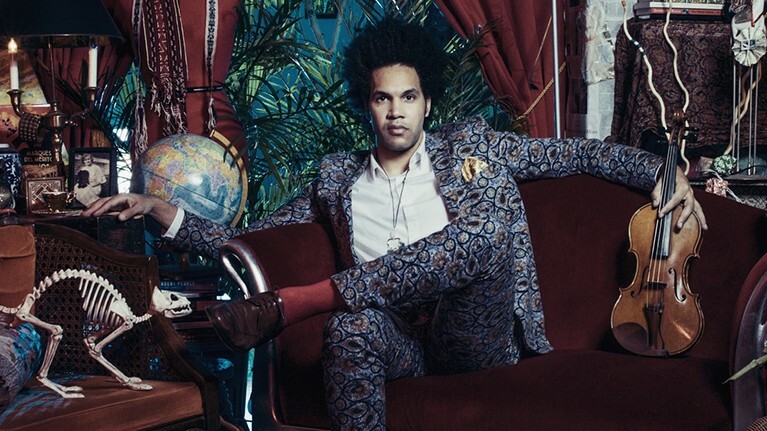 Having maintained close links with traditional Cuban music, classical genres and jazz, his latest album ‘Best Foot Forward’, released in 2016, is rich with energy, colour, creative arrangements and originality. Throughout his career Omar has supported and shared the stage with a whole host of other stars; Tito Puente, John Williams, Nigel Kennedy and Wynton Marsalis to name a few. Omar’s many accolades include The Lukas Award for the Classical, Jazz or Folk Act of the Year 2018; a top 10 placement for Songline Magazine’s Album of the Year; and a nomination for Best Jazz Soloist in the 21st International CubaDisco Fair 2017. Omar plays several violins including an 1862 Buthod & Grandini and a 6-string violin custom-made by luthier Andrew Scrimshaw. He uses the Kun Original and the Kun Collapsible. Nashville-based musician Mark Evitts has become the foremost called upon composer, string arranger and multi-instrumentalist, working with artists such as David Guetta, Cheat Codes, Blues Traveler, Jewel, Joey+Rory and Katharine McPhee. 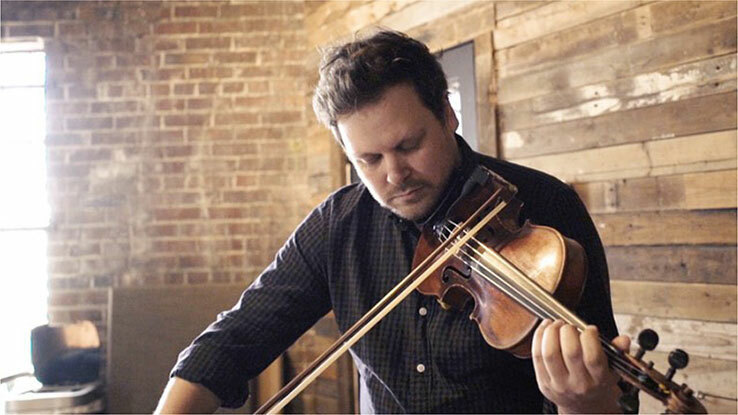 He has also toured as a violin/fiddle, viola, mandolin, guitar and piano player with such artists as Rodney Atkins, Jimmy Wayne, Jaida Dreyer, Dillon Hodges (Firekid), Bo Bice and many others. Mark created a string arrangement and recorded strings for the GRAMMY winning, RIAA Gold selling Joey+Rory album, Hymns. His string arrangements and recordings have also been featured in the Emmy-nominated song ‘Voice In A Dream’ from NBC’s ‘Smash’, and Train’s New Year’s Eve Times Square performance of John Lennon’s ‘Imagine’ in 2013. Mark uses the new Kun Solo. The Miró Quartet is one of America’s most celebrated string quartets, having been labelled by The New Yorker as “furiously committed” and noted by the Cleveland Plain-Dealer for their “exceptional tonal focus and interpretive intensity.” For the past twenty years the Quartet has performed throughout the world on the most prestigious concert stages, earning accolades from passionate critics and audiences alike. Based in Austin, Texas, and thriving on the area’s storied music scene, the Miró takes pride in finding ways to communicate with audiences of all backgrounds while cultivating the longstanding tradition of chamber music. Formed in 1995, the Miró was awarded first prize at several major competitions including the Banff International String Quartet Competition and the Naumburg Chamber Music Competition. Deeply committed to music education, members of the Quartet have given master classes throughout the world, and since 2003 the Miró has served as the quartet-in-residence at the University of Texas at Austin Sarah and Ernest Butler School of Music. 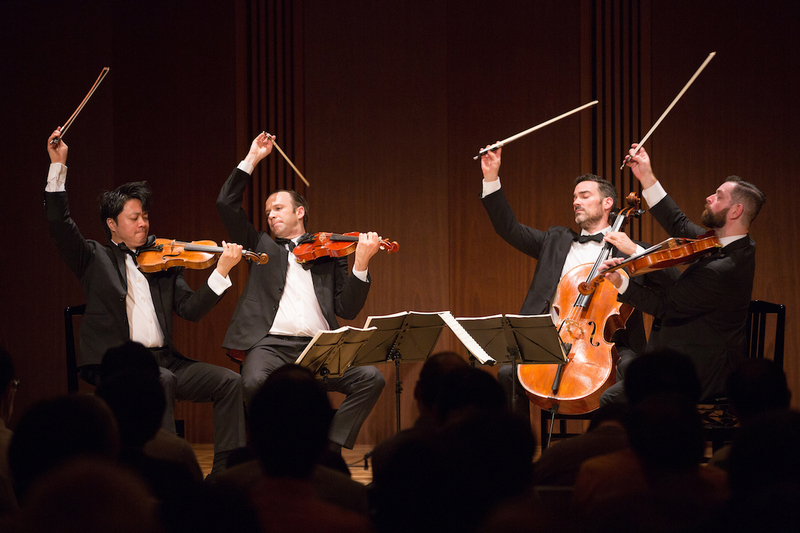 In 2005, the Quartet became the first ensemble to be awarded the coveted Avery Fisher Career Grant. Highlights of recent seasons include a sold-out return to Carnegie Hall; a performance with the Chamber Music Society of Lincoln Center; and a performance of the Beethoven Cycle at Tokyo’s Suntory Hall. The quartet use Kun’s Voce, Collapsible and Bravo models. Benjamin has appeared in recent seasons with the leading North American orchestras including the Philadelphia Orchestra and the Chicago, San Francisco, Houston, Detroit, Indianapolis, San Diego, Atlanta, and Grand Rapids Symphonies. He has appeared in recital in San Francisco, Vancouver and at Carnegie Hall. In Europe, Benjamin has performed with the London Philharmonic, Frankfurt Radio Symphony and Zurich Tonhalle, the Rotterdam Philharmonic, City of Birmingham Symphony and the Orchestre National de Capitole de Toulouse. He also appeared in recital on a ten-city tour of Australia. 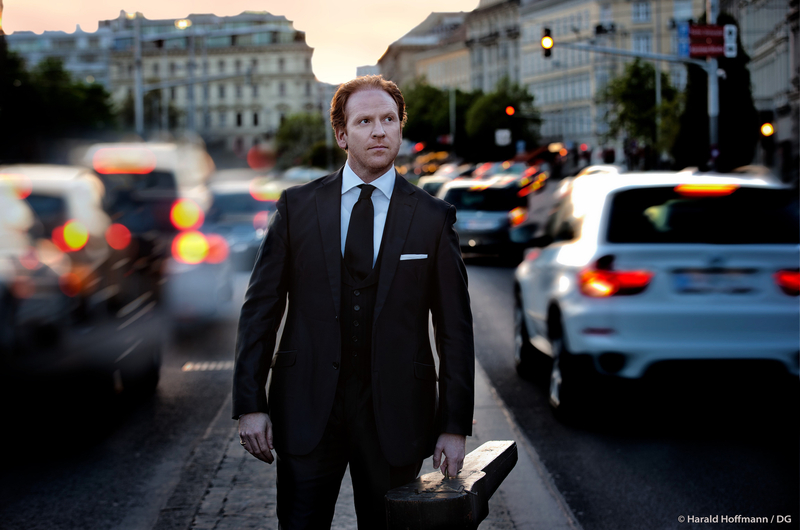 Further recital appearances include performances at the Verbier Festival, Heidelberg Spring Festival, Louvre, Tonhalle Zürich, Wigmore Hall, and Festpiele Mecklenburg-Vorpommern. Benjamin has received several prestigious awards including a Borletti-Buitoni Trust Fellowship, an Avery Fisher Career Grant and a London Music Masters Award. In 2010 he won the First Prize in the Young Concert Artists International Auditions, the 2010 Montréal International Musical Competition. Benjamin uses a Kun Bravo on the “Engleman” Stradivarius from 1709 generously on loan from the Nippon Music Foundation. For nearly a decade, the virtuoso violinist Caroline Goulding has performed with the world’s premier orchestras in recital and on record, and has blossomed from a “precociously gifted” (Gramophone) 13 year-old soloist with the Cleveland Orchestra to “a skilled violinist well on her way to an important career” (Washington Post). Since that 2006 debut, Caroline has appeared as soloist with symphony orchestras throughout North America, including Toronto, Detroit and Houston along with the National Symphony and the Orchestra of St. Luke’s. Caroline has also performed extensively in Europe and Asia, with the Frankfurt Radio Symphony, Netherlands Philharmonic, Deutsche Radio Philharmonie and the Hong Kong Philharmonic. She has appeared in recital on world stages from at Carnegie Hall and the Lincoln Center to Beijing’s Forbidden City Concert Hall, the Tonhalle-Zurich and the Isabella Stewart Gardner Museum. Caroline received an Avery Fisher Career Grant in 2011, and in 2009 she won the Young Concert Artists International Auditions and received the Helen Armstrong Violin Fellowship. She has garnered significant attention from music and mainstream press, appearing on NBC’s Today, MARTHA and Germany’s Stars von Morgen hosted by Rolando Villazón. Caroline has also been heard on NPR’s Performance Today, From the Top, and SiriusXM Satellite Radio. Caroline’s 2016 recital album with pianist Danae Dörken was her first new recording since her GRAMMY-nominated Telarc debut in 2009. The new recording was nominated for the prestigious Preis der deutschen Schallplattenkritik. Caroline plays a violin by Brooklyn-based maker Sam Zygmuntowicz, c. 2016. She uses the Kun Bravo. Exceptional among modern fiddlers for his versatility and depth, Darol has helped drive the evolution of the contemporary string band through his involvement with numerous pathbreaking ensembles such as his Republic Of Strings, the Turtle Island String Quartet, the David Grisman Quintet, Montreux, his Duo with Mike Marshall, and others. 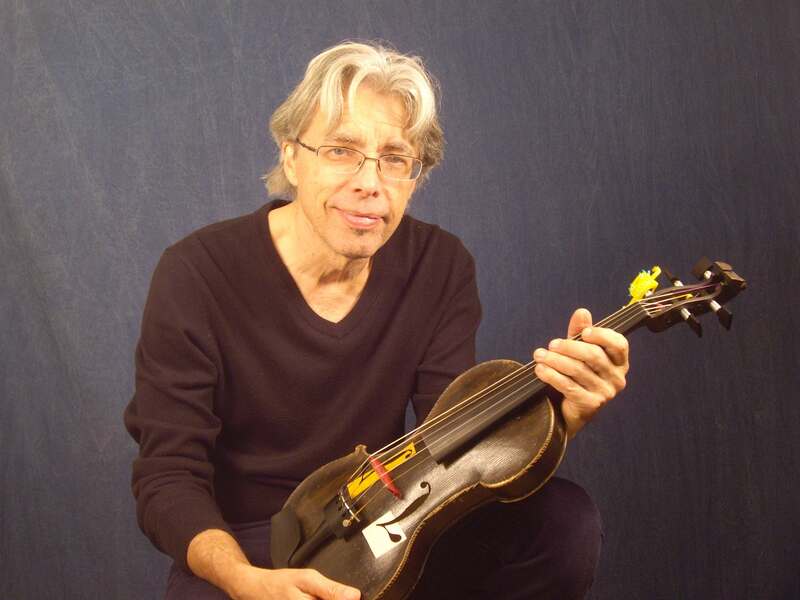 He has performed and taught all over the world with musicians such as Dr. Billy Taylor, Bela Fleck, Bill Evans, Edgar Meyer, Bill Frisell, Tony Rice, Tim O’Brien, The Anonymous 4, Marin Alsop and the Cabrillo Orchestra, the Detroit Symphony, Mark O’Connor and Stephane Grappelli. Today Darol can be heard on NPR’s ‘Car Talk’ theme every week, along with Earl Scruggs, David Grisman and Tony Rice. He was also the violinist on the phenomenally popular Sim City computer games. In addition to performing around the world, Darol has recorded and produced scores of important recordings since 1977, is a MacDowell and Ucross Fellow, and has received numerous composers’ residencies and grants. He has been a featured soloist on dozens of recordings and motion picture soundtracks. Darol is an Associate Professor at the prestigious Berklee College of Music, and recently began an ambitious online Fiddle School at ArtistWorks.com. He is interested in 5-string violin technology and has built 2 of them. Darol uses the Kun Voce. Raised in London, violinist Daniel Hope has toured the world as a virtuoso soloist for 25 years and is celebrated for his musical versatility as well as his dedication to humanitarian causes. The youngest ever member of the Beaux Arts Trio during its final six seasons and winner of the 2015 European Cultural Prize for Music, Daniel performs at the world’s greatest halls and festivals, from Carnegie Hall to the Concertgebouw Amsterdam, from Salzburg to Tanglewood and beyond. Daniel is one of the most prolific classical recording artists, with more than 25 albums to his name. His recording of Mendelssohn’s Violin Concerto and Octet with the Chamber Orchestra of Europe was named one of the best of the year by the New York Times. His recording of Alban Berg’s Concerto was voted Gramophone magazine’s ‘top choice of all available recordings.’ And his CD of Max Richter’s Vivaldi Recomposed, which reached No. 1 in more than 22 countries, is one of the most successful classical recordings of recent times. In 2017, Daniel was awarded the ‘Federal Cross’ Order of Merit of the Federal Republic of Germany, the country’s highest civilian accolade. Daniel is the Music Director of the Zurich Chamber Orchestra. He plays the 1742 ‘ex-Lipiński’ Guarneri del Gesù, placed generously at his disposal by an anonymous family from Germany. Daniel uses the Kun Voce. Lizzie Ball works across a range of musical genres, while continuing to focus on her classical training and roots. With her Classical Kicks project, she has carved out her own version of classical fusion with world-class musicians, from a residency at Ronnie Scott’s Jazz Club to the UK festival stages of Bestival and Henley. Classical Kicks’ own festival continues in Autumn 2017 for the third year running in Derbyshire. 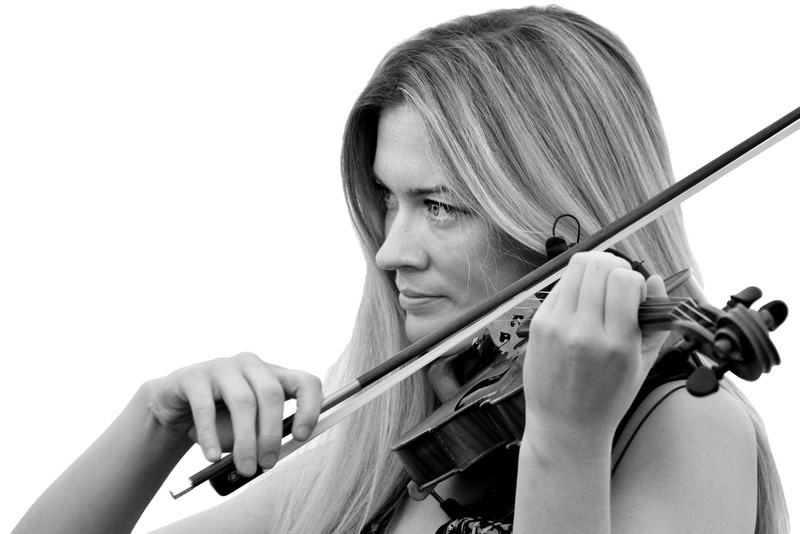 Lizzie has collaborated with the likes of Nigel Kennedy with an appointment as leader of his Orchestra of Life, resulting in duo concerto performances in major UK venues, and with the acclaimed Mexican classical guitarist Morgan Szymanski with his group Machaca. Lizzie and Morgan’s musical journey through the life of Frida Kahlo premiers at the Chatsworth Art Out Loud Festival in September 2017. In the classical/jazz world Lizzie has performed with New York Polyphony, Martynas Levickis and the James Pearson Trio. Her critically-acclaimed collaboration with rock guitarist Jeff Beck between 2013-14 included a solo performance at Madison Square Garden and a U.S.-wide 30 city double-bill tour with Brian Wilson, in which Lizzie was also a featured vocalist. 2017 has seen three U.S. tours opening for UK pop legend Bryan Ferry. Lizzie is an ambassador of PRISMA Mexico, a charity that provides arts workshops for children in need in Mexico. She plays a Joseph Kantuscher violin (1967) and uses the Kun Original and Collapsible models. 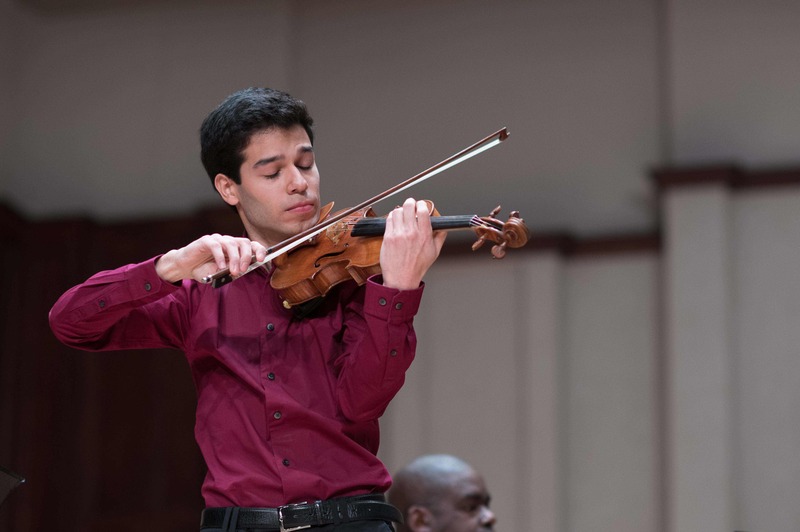 Venezuelan violinist Rubén Rengel is the 1st place Senior Division winner of the 2018 Sphinx Competition. 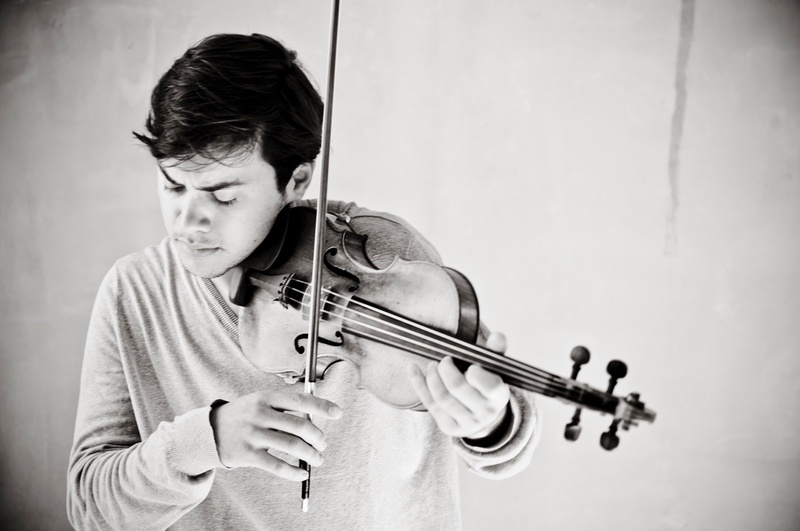 Rubén was the winner of the CIM Concerto Competition in 2014, recipient of the Anna Y. Tringas Award for excellence in violin performance at CIM in 2013, and was the winner of the Juan Bautista Plaza National Violin Competition of Venezuela in 2011. He has appeared as guest soloist with the Venezuela Symphony Orchestra, the Firelands Symphony Orchestra, the CIM Orchestra, Virtuosi de Caracas, Filarmonía Caracas, and Arcos Juveniles de Caracas, and has worked with many reputable conductors including Theodore Kuchar, Carlos Miguel Prieto, Carl Topilow, Andrew Grams and Ulyses Ascanio. Rubén is an avid chamber musician and member of the Autana Trio, Bronze medal winners at the 2015 Fischoff National Chamber Music Competition. Some of his chamber music coaches include Sharon Robinson, Merry Peckham, Joel Smirnoff, Norman Fischer, James Dunham, Donald Weilerstein, Peter Salaff, Itzhak Perlman and Joseph Silverstein. In addition to classical music, Rubén has extensive experience performing Venezuelan folk music and Jazz. He is currently pursuing his Master’s degree at the Shepherd School of Music at Rice University, under the guidance of Paul Kantor. Rubén uses a Kun Bravo on his Douglas Cox violin. Black Violin is the ground-breaking blend of classical, hip-hop, rock, R&B, and bluegrass music. Since starting Black Violin a decade ago, Wil Baptiste and Kevin ‘Kev Marcus’ Sylvester have mixed up music genres to break down listeners’ barriers, both perceived and unconscious. They seek to confront stereotypes that are inevitably woven into our culture, whilst creating meaningful, highly engaging music. The duo has performed about 200 shows a year in 49 states and 36 countries as far away as Dubai, the Czech Republic and South Africa, while appearing at official NFL celebrations for three Super Bowls, and the 2016 U.S. Open with Jordin Sparks. Black Violin has performed for a variety of audiences throughout their career, from the troops in Iraq to both the official President’s Inaugural Ball and the Kids Inaugural in Washington, DC, where Barack Obama gave each a hearty hand-shake. 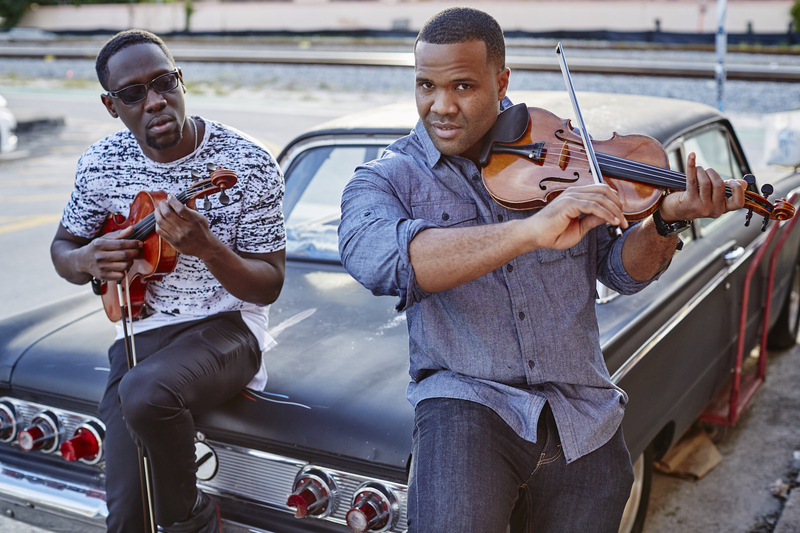 Individually and together, Black Violin has collaborated with the likes of P. Diddy, Kanye West, 50 Cent, Tom Petty, Aretha Franklin and The Eagles. In addition, Wil and Kev composed the score to the original FOX television series Pitch, which premiered in autumn 2016.